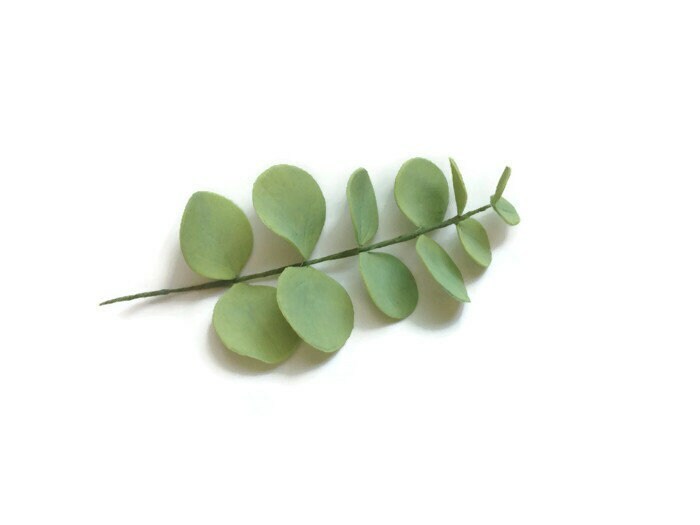 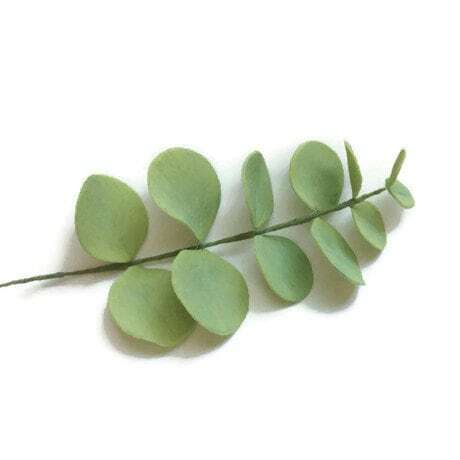 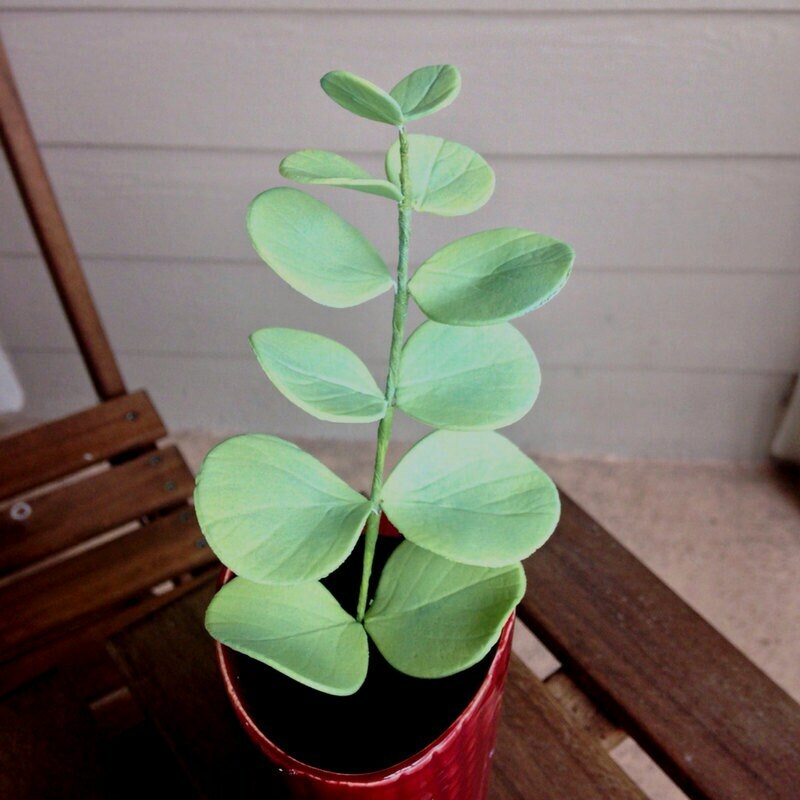 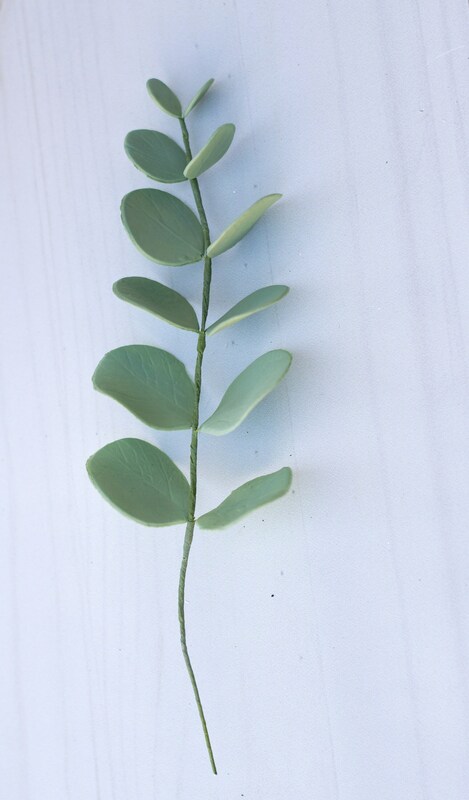 A spray of eucalyptus leaves that would complement any display of sugar flowers. 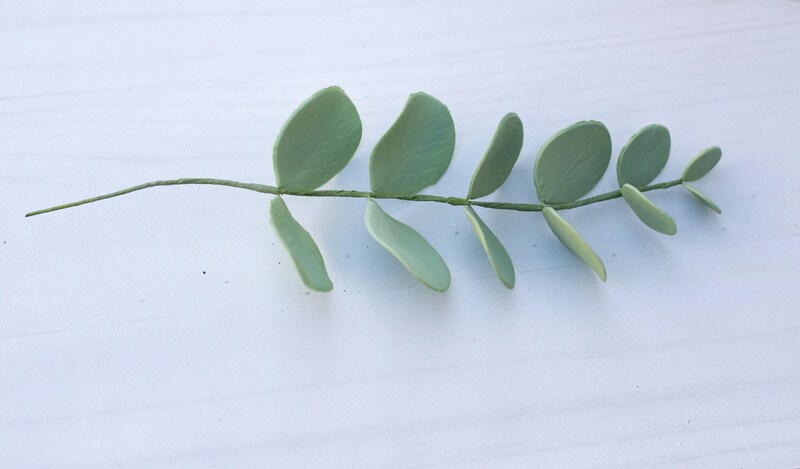 Each of the 12 leaves in this spray is individually veined, painted, and wired to give it the most life-like look. 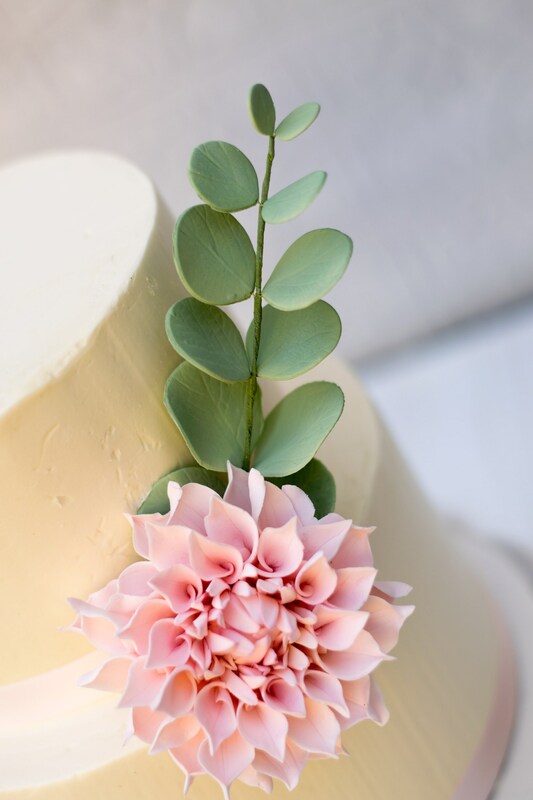 This spray adds color, texture, and that extra "something" every arrangement of flowers need. 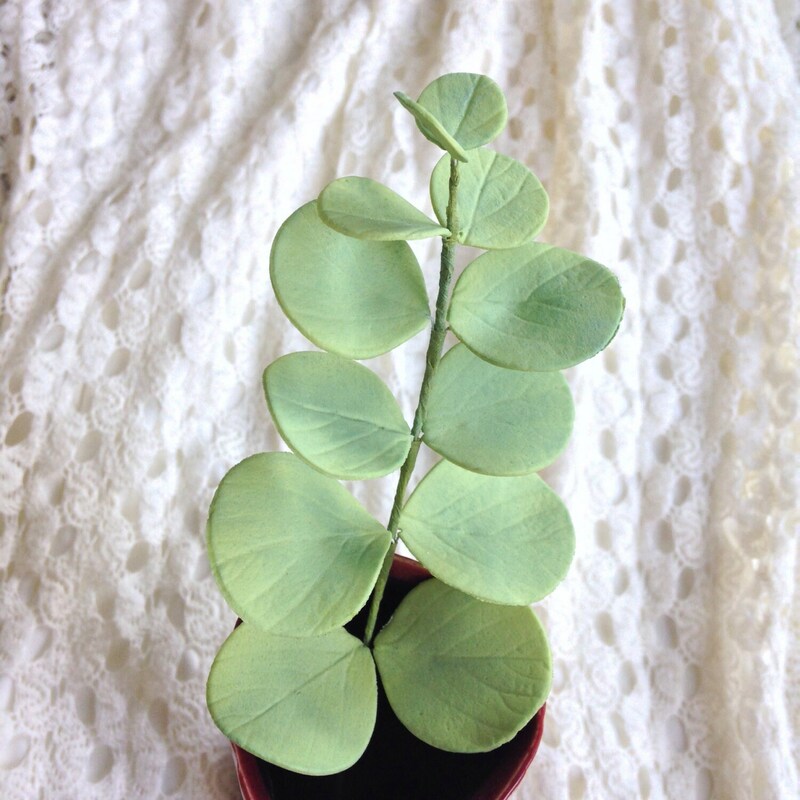 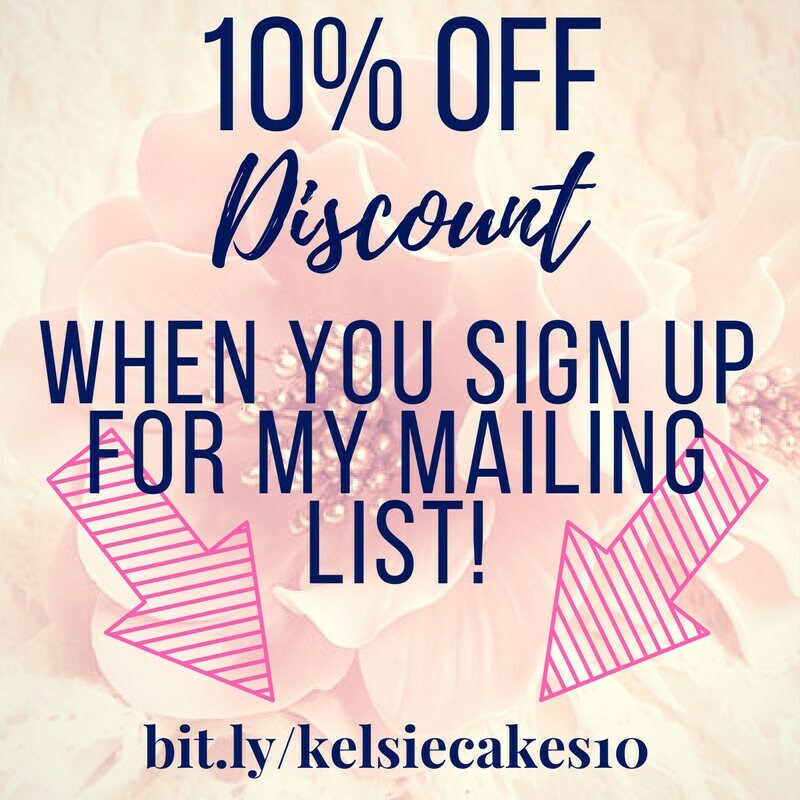 If you are also ordering sugar roses from me, I will happily combine shipping.